The best gatherings are always about making memories together, and the Lake Charlevoix area provides a wealth of activities from which to choose. Plan your next family reunion around a ski vacation, host a memorable springtime wedding on the shores of Lake Michigan, or create an unforgettable team-building event with a day of sport fishing. Our 600-square-foot meeting space is an ideal gathering spot for up to 30 people and the AV technology makes it easy to get your point across loud and clear. Let us help you get a head start on planning by completing this short information request. Have the wedding of your dreams at Castle Farms, Northern Michigan’s favorite wedding venue. 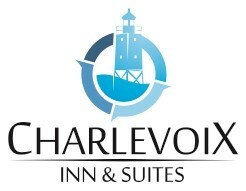 Charlevoix Inn & Suites is only a short, 10-minute drive from this gorgeous venue, which has been described as a French Renaissance-style castle worthy of fairy tale fantasies. When you book a group of rooms with us for your nuptials, you can relax knowing that all your guests will enjoy fantastic group amenities and the best service in the area.